I am not the owner of the $50m discovered by EFCC – Ex-NNPC MD – Royal Times of Nigeria. 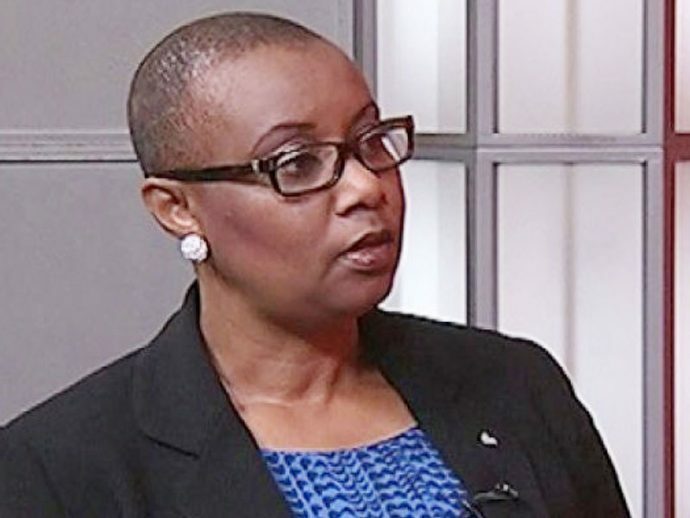 Former Managing Director, Operations of the Nigerian National Petroleum Corporation (NNPC), Esther Nnamdi-Ogbue has denied ownership of huge sum of money discovered by the Economic and Financial Crimes Commission (EFCC) at an Ikoyi apartment on Wednesday. It has been reported on online news platforms that the $38m, N23m, and £27,000 discovered by the agency belonged to the ex-NNPC GMD. But in a statement by her lawyers on Thursday, Nnamdi-Ogbue said she was as shocked as many Nigerians when the money was recovered. The statement reads, “The attention of Our client, Mrs. Esther Nnamdi-Ogbue has been drawn to the news making round in the news media to the effect that the large sums of money to wit: $38,000,000.00 (Thirty-Eight Million Dollars),N23,000,000.00 (Twenty-Three Million Naira) and £27,000.00 (Twenty-Seven Thousand Pounds) uncovered by the Economic and Financial Crimes (EFCC) from an apartment in Osborne Towers, Osborne Road, Ikoyi Lagos belong to her. “By this press release, we inform the public (especially the news media) that the said sums of money and/or the apartment where the sums of money were found do not belong to our client. “Our client is as shocked as many other Nigerians at the uncovering and recovery of the said sums of money and wishes to salute the courage and efforts of the EFCC in the war against corruption. “She also wishes to commend the whistle blowing policy introduced by the Federal Government in the fight against corruption which policy has resulted in large scale uncovering and recovery of monies and assets. “It is our client’s belief that the source and ownership of the said uncovered sums of money is known or eventually will be known by the EFCC in due course. There is therefore no need for conjecture or speculation”.